Labor Day has passed. But that doesn’t mean we can’t continue grilling anymore. The weather is still hot in some parts; and the grill can still get some use. Like in this recipe for chicken wings. 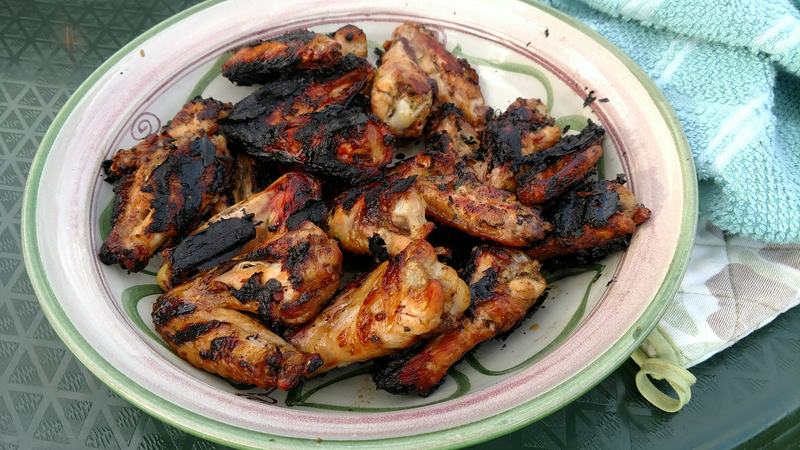 Normally, we make chicken wings Nuyorican style with the usual condiments: oregano, garlic, salt, pepper, and olive oil, all crushed in a mortar and then used as seasoning. This recipe has more of an Asian aspect to it: ginger, scallions, honey, along with some white wine for added flavor. So, heat up the ole’ grill and go at it. Wash chicken wings under cold running water and pat dry with paper towels. 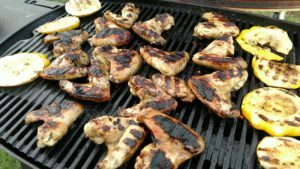 Start a charcoal or gas grill, and preheat. Fire should be moderately hot and rack should be about 6 inches from source of heat. Remove wings from marinade, place on grill and cook for about 10 minutes on each side. Remove from heat and sere immediately.